The Echoflex Contact Output Interface offers four dry contact outputs to interface with third-party devices and control systems. Each output can be set up individually, linked to one or many wireless switches or sensors based on standard profiles. 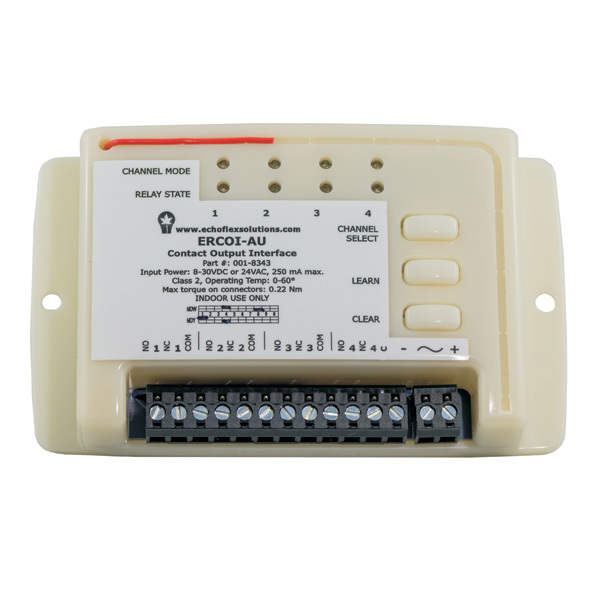 The Contact Output Interface is a simple method of integrating wireless devices into existing panels, wired control systems, or energy management systems. © 2019. «Echoflex Solutions Inc.». All rights reserved.